At 4.1m long with a capacity of 175kg the Profish 400 Lite is roomy enough for heavier paddlers and still has plenty of gear capacity. 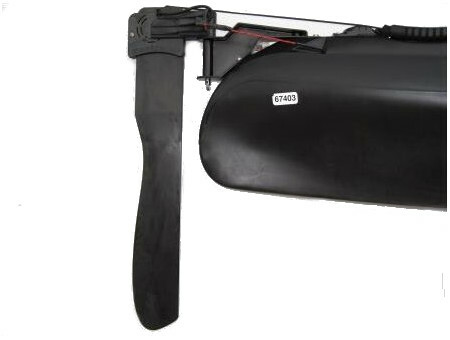 It has a beam of 78cm which makes it stable and easy to paddle yet the whole package weighs just 25kg which means simple car topping and easy carrying down to the launch point. 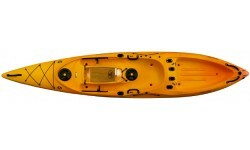 Don’t think this lightweight boat compromises on either strength or features though. 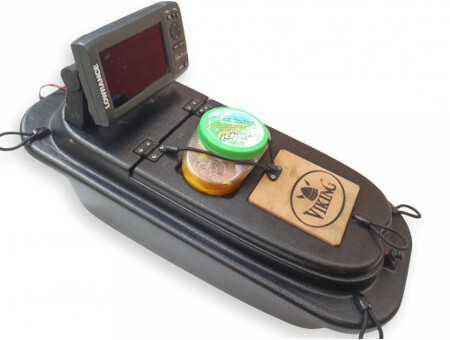 Designed by avid kayak fishermen and built in New Zealand the Profish 400 Lite is made from high density roto-moulded plastic and comes with plenty of kit to keep the demanding kayak angler happy. There are 6 flush mounted rod holders, 2 on the gunnels facing forward for tackling up and 4 on the rear facing backwards for storage and trolling. The central storage well has a clear polycarbonate lid so you can easily see what’s inside and is topped by a wooden chopping board for bait prep. Threaded brass inserts are provided for mounting a finder. There are two 8” access hatches and bungee storage on the bow. 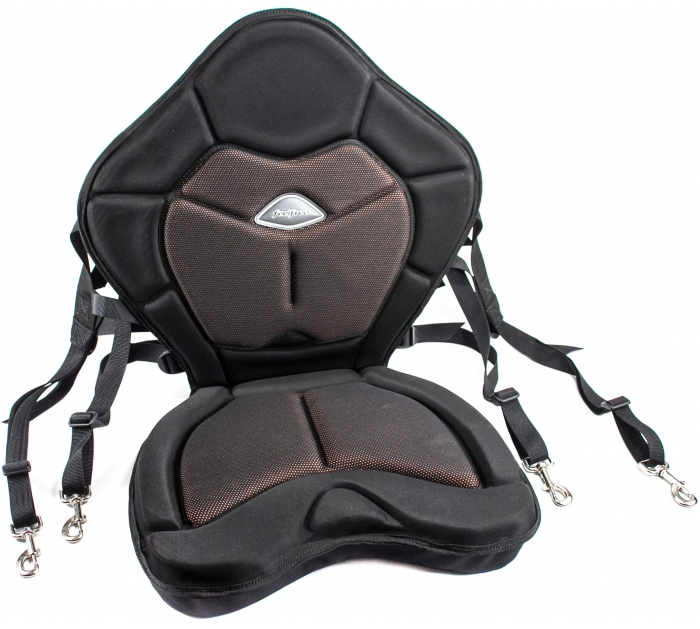 The rear tank well is generously sized and as well as room for a standard crate there are fittings to clip in the optional Chill Pod for keeping your catch (or gear) protected from the elements. 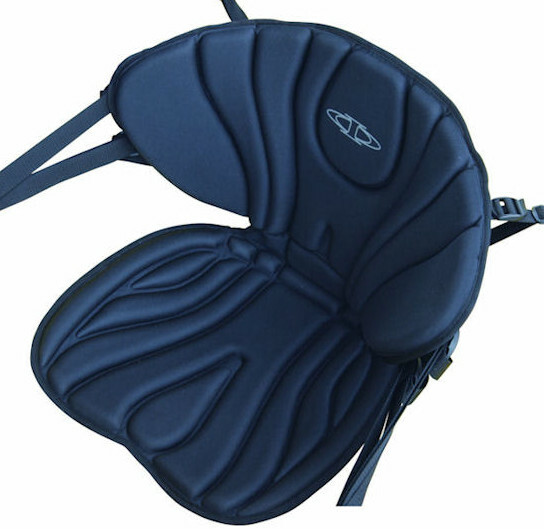 The paddler has adjustable footrests, a comfortable seat and there are plenty of carry handles for easy transport of the kayak from car to shore and back again. 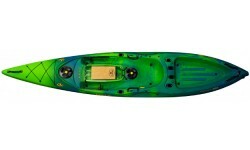 There is also an optional rudder kit for those who regularly paddle in challenging conditions or prefer the ease of use a rudder provides. 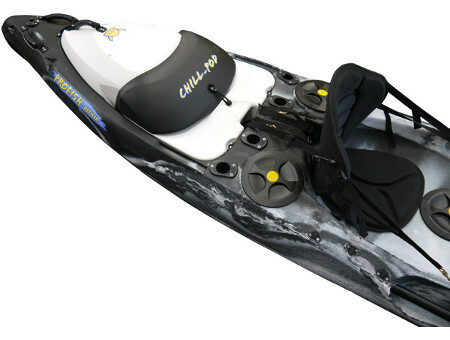 The Profish 400 Lite is probably one of the most versatile fishing kayaks available – whether you fish salt or fresh water, beginner or expert, you really can’t go wrong with this well designed fishing tool. 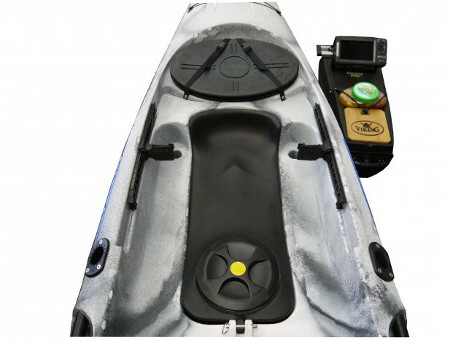 The Tackle Pod allows you to pre load everything you need & then just drop the pod into the kayak. 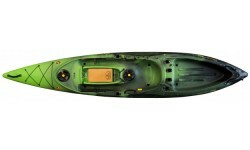 Fish finders can easily be installed to the Tackle pod, cables can run from the kayak into the back of the tackle pod. 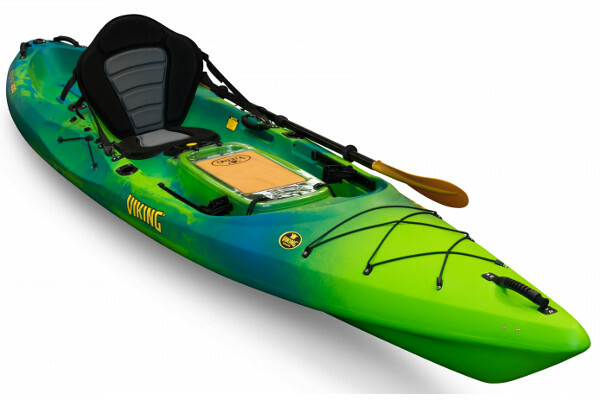 We offer a delivery service for the Viking Kayaks Profish Reload to home and work addresses throughout England, Wales, Scotland, Northern Ireland & Ireland. Buy a Viking Kayaks Profish Reload online from our website and collect from our store in Newhaven, East Sussex or from any branch within the Canoe Shops Group. There is no cost associated with this*.